Once beleived to be the geographic home of great wine in the modern West, France still holds center stage as primus inter pares in the world of wine. 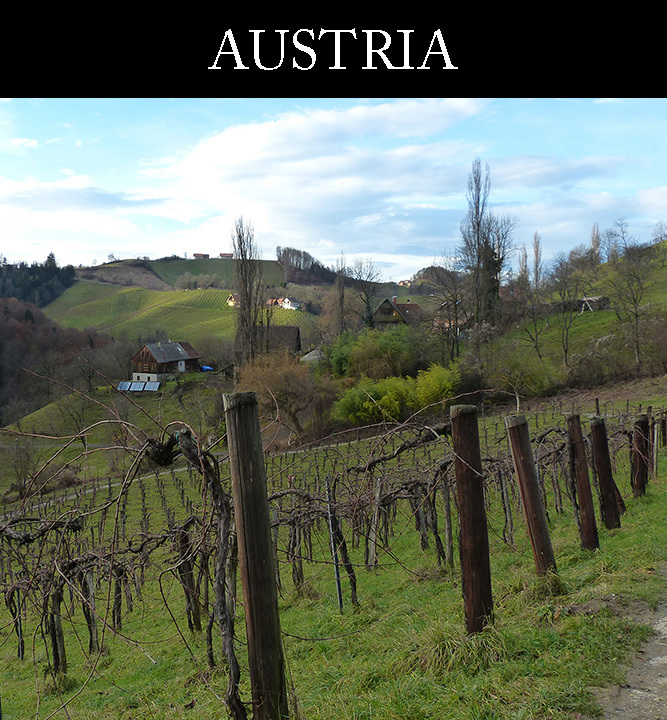 Still woefully under appreciated, Austria has gained healthy ground in the wine world as a result of the unmistakeable quality issuing from her well kept vineyards. For many Italy is the true soul of European food and wine.